Performance Category for Udi Dahan's Blog Common CQRS Abuses The Myth Of “Infinite Scalability” MySpace Architecture Considered Expensive MSDN Magazine Smart Client Article Building Super-Scalable Web Systems with REST An Answer of Scale Durable Messaging Dilemmas NServiceBus Performance Scalability Article up on InfoQ WCF Everywhere? Not on my watch. I’ve been consulting with a client who has a wildly successful web-based system, with well over 10 million users and looking at a tenfold growth in the near future. One of the recent features in their system was to show users their local weather and it almost maxed out their capacity. That raised certain warning flags as to the ability of their current architecture to scale to the levels that the business was taking them. One would think that sites like Weather.com and friends would be the first choice for implementing such a feature. Only thing is that they were strongly against being mashed-up Web 2.0 style on the client – they had enough scalability problems of their own. Interestingly enough (or not), these partners were quite happy to publish their weather data to us and let us handle the whole scalability issue. The current implementation was fairly straightforward – client issues a regular web service request to the GetWeather webmethod, the server uses the user’s IP address to find out their location, then use that location to find the weather for that location in the database, and return that to the user. Standard fare for most dynamic data and the way most everybody would tell you to do it. Only thing is that it scales like a dog. The first thing you do when you have scalability problems and the database is the bottleneck is to cache, well, that’s what everybody says (same everybody as above). The thing is that holding all the weather of the entire globe in memory, well, takes a lot of memory. More than is reasonable. In which case, there’s a fairly decent chance that a given request can’t be served from the cache, resulting in a query to the database, an update to the cache, which bumps out something else, in short, not a very good hit rate. Not much bang for the buck. What we can do is to tell the client we’re responding to that they can cache the result, but that isn’t close to being enough for us to scale. In order to save on bandwidth, the most precious commodity of the internet, the various ISPs and backbone providers cache aggressively. In fact, HTTP is designed exactly for that. If user A asks for some html page, the various intermediaries between his browser and the server hosting that page will cache that page (based on HTTP headers). When user B asks for that same page, and their request goes through one of the intermediaries that user A’s request went through, that intermediary will serve back its cached copy of the page rather than calling the hosting server. Also, users located in the same geographic region by and large go through the same intermediaries when calling a remote site. The internet is the biggest, most scalable data serving infrastructure that mankind was lucky enough to have happen to it. However, in order to leverage it – you need to understand your data and how your users use it, and finally align yourself with the way the internet works. Let’s say we have 1,000 users in London. All of them are going to have the same weather. If all these users come to our site in the period of a few hours and ask for the weather, they all are going to get the exact same data. The thing is that the response semantics of the GetWeather webmethod must prevent intermediaries from caching so that users in Dublin and Glasgow don’t get London weather (although at times I bet they’d like to). Rather than thinking of getting the weather as an operation/webmethod, we can represent the various locations weather data as explicit web resources, each with its own URI. Thus, the weather in London would be http://weather.myclient.com/UK/London. If we were able to make our clients in London perform an HTTP GET on http://weather.myclient.com/UK/London then we could return headers in the HTTP response telling the intermediaries that they can cache the response for an hour, or however long we want. That way, after the first user in London gets the weather from our servers, all the other 999 users will be getting the same data served to them from one of the intermediaries. Instead of getting hammered by millions of requests a day, the internet would shoulder easily 90% of that load making it much easier to scale. Thanks Al. This isn’t a “cheap trick”. While being straight forward for something like weather, understanding the nature of your data and intelligently mapping that to a URI space is critical to building a scalable system, and reaping the benefits of REST. The only thing that’s left is to get the client to know which URI to call. A simple matter, really. When the user logs in, we perform the IP to location lookup and then write a cookie to the client with their location (UK/London). That cookie then stays with the user saving us from having to perform that IP to location lookup all the time. On subsequent logins, if the cookie is already there, we don’t do the lookup. BTW, we also show the user “you’re in London, aren’t you?” with the link allowing the user to change their location, which we then update the cookie with and change the URI we get the weather from. 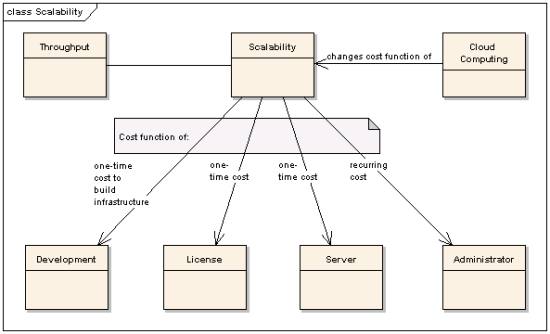 While web services are great for getting a system up and running quickly and interoperably, scalability often suffers. Not so much as to be in your face, but after you’ve gone quite a ways and invested a fair amount of development in it, you find it standing between you and the scalability you seek. Moving to REST is not about turning on the “make it restful” switch in your technology stack (ASP.NET MVC and WCF, I’m talking to you). Just like with databases there is no “make it go fast” switch – you really do need to understand your data, the various users access patterns, and the volatility of the data so that you can map it to the “right” resources and URIs. If you do walk the RESTful path, you’ll find that the scalability that was once so distant is now within your grasp. To the question of scale Ayende brings up, I thought I’d tap my concept map. Did you write your own locking/transaction mechanism on top of an open source distributed cache or did you buy a license for a space-based technology? Also, don’t forget that people need to administer all the servers that you have. Those people cost money (easily100K per year). Maybe, because you haven’t invested in management or monitoring tools you need one person for every two servers. This will influence the breakdown of up front costs and recurring costs. Also, the level of availability you require will impact this as well. In my experience, architects don’t consider often enough the operations environment in their "scalability calculations". What this means is that there’s no such thing as technically "not being able to scale". Rather, that the cost (up front + recurring) of supporting higher throughput grows faster than the function of revenue per user/request/whatever. Sometimes, the solution is just to find ways to make more money per customer. For more technical solutions, take a look at the difference between capacity and scalability and how the competing consumer pattern helps scale out. Scalability, it’s all about the money. Oh, I almost forgot, I also had a great conversation with Carl and Richard about scaling web sites that’s now up on the .NET Rocks site. Enjoy. I’ve received some great feedback on my MSDN article and some really great questions that I think more people are wondering about, so I think I’ll try to do a post per question and see how that goes. When designing a system, we need to take a good, hard look at how we manage state, and what properties that state has. In a system of reasonable size we can expect various families of state with respect to their business value, data volatility, and fault-tolerance window. Each family needs to be treated differently. While durable messaging may be suitable for one, it may be overkill or underkill for another. When talking about business value, I want to talk about what it means “not losing any messages”. The question is under what conditions will the messages not be lost, or rather, what are the threshold conditions where messages may start getting lost. If all our datacenters are nuked, we will lose data. It’s likely the business is OK with that (as much as can be expected under those circumstances). 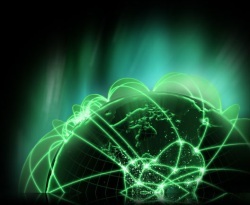 If a single server goes down, it’s likely the business would not be OK with losing messages containing financial data. However if a message requesting the health of a server were to get lost under those same conditions, that would probably be alright. In other words, what does that message represent in business terms. Data volatility also has an impact. Let’s say that we’re building a financial trading system. The time that it takes us to respond to an event (message) that the cost of a certain financial instrument has changed, and the message that we send requesting to buy that security is critical. Let’s say that has to be done in under 10ms. Now, some failure has occurred preventing our message from reaching its destination for 20ms. What should we do with that message? Should we keep it around, making sure it doesn’t get lost? Not in this domain. On the contrary, that message should be thrown away as its “business lifetime” has been exceeded. Furthermore, even during that original period of 10ms, the use of durable messaging may make it close to impossible to maintain our response times. These two topics feed into the third and more architectural one – fault-tolerance window: what period of time do we require fault tolerance, and with respect to how many (and what kind of) faults? This will lead us into an analysis of to how many machines do we need to copy a message before we release the calling thread. We’d also look at in which datacenters those machines reside. This will also impact (or be impacted by) the kinds of links we have to these datacenters if we want to maintain response times. These numbers will need to change when the system identifies a disaster – degrading itself to a lower level of fault-tolerance after a hurricane knocks out a datacenter, and returning to normal once it comes back up. Our job as architects when designing the system is to find that cost-benefit balance for the various parts of the system according to these very applicative parameters. No, it’s not easy. No, cloud computing will not magically solve all of this for us. But, we are getting more technical tools to work with, operations staff is getting better at working with us in the design phase, and our thought processes more rigorous in dealing with the scary conditions of the real world. To your question, Libor, as to why we didn’t eventually use durable messaging in our solution, the answer is that we solved the overall state management problem by setting up an applicative protocol with our partners which was resilient in the face of faults by using idempotent messages that could be resent as many times as necessary. You can read more about it here. This solution isn’t viable for other kinds of interactions but was just what we needed to get the job done. I’ve gotten this question several times already but now companies are beginning to look for performance comparisons in making decisions around the use of nServiceBus. It’s often compared to straight WCF, BizTalk, and now Neuron ESB. In Sam’s recent post he posts to a case study of Neuron doing 28 million messages an hour. That’s far more than I’ve ever heard quoted for BizTalk. Before giving some numbers, please keep in mind that high performance of system infrastructure does not necessarily by itself mean that the system above it is running that fast. For instance, you may have server heartbeats running really quickly but the time it takes to save a purchase order borders on a minute. So, please, take all benchmarks with a grain of salt, or two, or a whole shaker-full. While I’m not at liberty to say on which specific domain/company these numbers were measured, I can say that we had the full gamut of “stateless services”, statefull services (sagas), number crunching, large data sets, many users, complex visualization, etc. Also, this wasn’t the largest installation of nServiceBus that I’m aware of, but its the one I have the most specific numbers for. OK, so using the default nServiceBus distribution using MSMQ, on servers where the queue files themselves were on separate SCSI RAID disks, we were pumping around 1000 durable, transactionally processed messages per second, per server. That means that similar to the Neuron case, no messages would be lost in the case of a single fault per server per window (time to replace a failed disk set at 3 hours from failure, through detection, to replacement per site – but that’s more an operational staffing concern, not the technology itself). So, that’s 3.6 million messages per hour per server, at full load. We had a total of 98 servers doing these kinds of processing, not including web servers, databases, etc. Keep in mind that web servers would be communicating with other servers using nServiceBus, but that would maybe be an unfair comparison to the Neuron numbers. Anyway, the 48 number crunching servers (blade centers) we had were at full load, so we were pumping more than 170 million messages there. Keep in mind that those servers had a really fast backbone so weren’t held up by IO. Your environment may be different. Another 30 (regular pizza boxes) were doing our sagas. 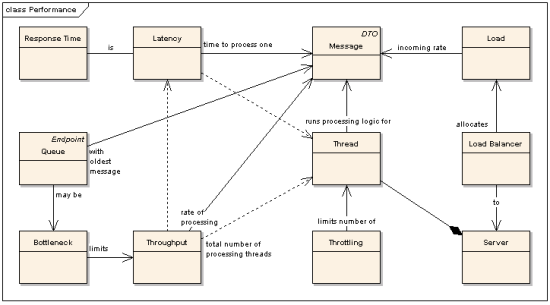 Saga state was stored in a distributed in-memory “cache”, so once again IO wasn’t an issue for processing those messages. We were at about 70% utilization there, coming to just over 100 million messages an hour. The last 20 were clustered boxes (fairly expensive) that handled the various nServiceBus distributor and timeout manager processes were at full load since they handled control messages for all the servers as well as dynamically routing the load. However, on those boxes we used much higher performance disks for the messages, since they had to feed everything else, capable of doing, on average, around 5000 messages a second. That adds up to 360 million messages an hour. Later, we moved a bunch of messages that didn’t need all that durability and transactionality off the disks, pushing the total throughput over 1 billion messages an hour. That was about 100 million per hour durable, 900 million per hour non-durable. You can guess that we were left with plenty of IO to spare at that point while we weren’t yet pushing the limit of our memory. One thing that’s important to understand is the size of the messages that didn’t require durability was less than 1MB, with most weighing in under 10KB. Also, since most of those messages were published, less state management was required around them, enabling us to further improve performance. NServiceBus didn’t give us all that by itself. It was the result of skilled architects, developers, and operations staff working together for many iterations, deploying, monitoring, re-designing, etc. You need to understand your technology, your hardware, and your specific performance, availability, and fault-tolerance requirements if you want to get anywhere. I didn’t see the number or kinds of servers involved in the Neuron case study so this wasn’t ever really a comparison. Nor or we talking about the same system here. So, please, don’t base your decisions on arbitrary numbers. Spend some time setting up a scaled down version of your target architecture with all the relevant technologies and measure. Be aware that you want high performance end to end, not just of the messaging part. At times, it makes sense to actively throw away messages (of the non-durable, published kind) to help a server come online faster especially after a restart. Thus ends the tale of another “benchmark”. In this article, I attempt to debunk some of the myths around stateless-ness as the key to scalability. It was a sunny day in June 2005 and our spirits were high as we watched the new ordering system we’d worked on for the past 2 years go live in our production environment. Our partners began sending us orders and our monitoring system showed us that everything looked good. After an hour or so, our COO sent out an email to our strategic partners letting them know that they should send their orders to the new system. 5 minutes later, one server went down. A minute after that, 2 more went down. Partners started calling in. We knew that we wouldn’t be seeing any of that sun for a while. The system that was supposed to increase the profitability of orders from strategic partners crumbled. The then seething COO emailed the strategic partners again, this time to ask them to return to the old system. The weird thing was that although we had servers to spare, just a few orders from a strategic customer could bring a server to its knees. The system could scale to large numbers of regular partners, but couldn’t handle even a few strategic partners. This is the story of what we did wrong, what we did to fix it, and how it all worked out. WCF Everywhere? Not on my watch. The other day I was at Juval’s presentation where the main message was WCF is a better .NET. In other words, if you use WCF on every one of your classes, you’ll benefit. I don’t know about you, but I’m quite wary of silver bullets – they tend to inflict quite a bit of pain when used indiscriminately. This post is my response to all the people who came up to me at the end of the presentation and wanted to know if I agreed with these far-reaching architectural statements. First of all let me say that Juval is indeed a master presenter. The “looks like a class, walks like a class, quacks like a class” bit was excellent. I could tell that most people didn’t notice the speedy hands quickly deleting all attributes from the classes before the “looks like a class…” bit. 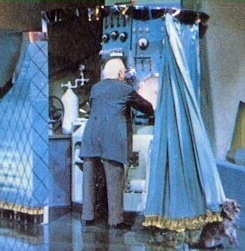 At times, I got flashbacks from the Wizard of Oz – “pay no attention to the man behind the curtain”. If all attributes in WCF only went on the interfaces, then this might actually fly, but we all know that that’s not the case. One of the interesting comparisons Juval made with WCF was the introduction of .NET. Few people in the audience seemed to remember (or maybe were just professionally younger than .NET’s 8 years), but when it came out .NET was marketed as being mainly about XML Web Services. Juval stated that this was done to play down the fact that .NET made the previous Windows programming technologies obsolete. He then drew the same conclusion about WCF – that it’s as much .NET 3.0 as .NET was the next version of MFC; besides being written in a language that resembles the previous technology, it’s really all different. I don’t think that anyone would argue the difference, but is it really a “plain .NET” killer? The answer seemed to come around the overhead of WCF – yet Juval deftly deflected that issue with a demo showing WCF doing 200 calls a second. And everybody just bought it – I was shocked. That’s 5ms per call. If you actually take Juval’s advice and use WCF on all your classes, you’ve bought yourself one hell of a performance nightmare. Say you have around 20 of your objects involved in a sequence to handle a user action – not that many actually. With a 5ms lag per object interaction, that user action is going to take 100ms – not including any database or webservice stuff you might be doing. If you do that in a server environment, you’ll be doing roughly 10 concurrent users per core. And that’s not even doing any heavy calculations or anything. Moderately sized systems are running upwards of 1000 concurrent users – if they needed 100 cores (or dozens of servers) for that, I’m guessing that they’d be out of business. Let’s cut this short – WCF everywhere doesn’t scale, doesn’t perform, isn’t maintainable, or testable either. In other words – don’t do it. I know Juval is a brilliant guy, and an amazing presenter – but I don’t believe he would be employing this with his own clients. This actually bears repeating. 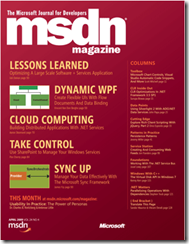 WCF is a fine technology for your application’s boundaries, but don’t be pushing it in.